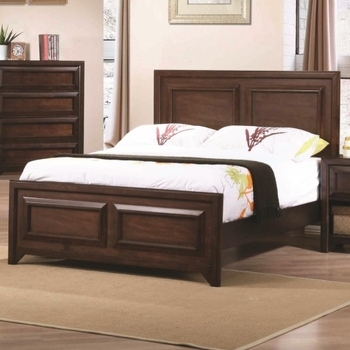 This elegant bed presents a transitional style highlight for your home. Featuring a panel designed headboard and footboard, the bed is crafted from Asian hardwood with a China maple veneer. Completed with a maple oak finish, this bed will serve you well with laid back, elegant style for years to come.